Lizards in the genus Heloderma are the most ancient venomous reptiles, with a traceable lineage nearly 100 million years old. The proteome of the venom of three of the remaining species (Heloderma suspectum, H. exasperatum, H. horridum) are very conserved, with kallikrein-like activity present to cause critical hypotension to immobilize and outright kill prey. Kallikrein-like activity would be expected to activate the contact protein pathway of coagulation, which would be detectable with thrombelastography in human plasma. 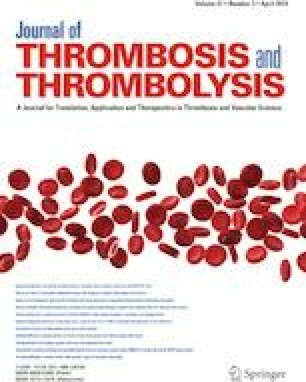 Thus, it was proposed to determine if kallikrein-like activity could be detected with thrombelastography, and if this activity could be inhibited by carbon monoxide (CO) via a putative heme-based mechanism. Procoagulant activity of each venom was assessed via thrombelastography with normal plasma, and kallikrein-like activity confirmed with FX-depleted plasma. Venom was then exposed to carbon monoxide releasing molecule-2 (CORM-2) or its inactive releasing molecule to assess CO inhibition. All three venoms demonstrated kallikrein-like activity with the same potency and inhibition of activity by CO. In conclusion, the present work documented that procoagulant, kallikrein-like activity containing venoms of the oldest species of venomous reptiles was inhibited by CO, potentially via heme modulation. This is also the first identification and characterization of a kallikrein-like enzyme utilizing coagulation factor-depleted plasma to assess venom that inflicts hypotension. Future investigations will continue to define the vulnerability of venom enzymatic activities to CO.
We appreciate the technical assistance of Sarah A. Nielsen in the conduct of the thrombelastographic assays. This investigation was supported by the Department of Anesthesiology, College of Medicine, at the University of Arizona. This was an in vitro investigation and did not involve any living subjects.